OLYMPIA – Three initiatives appear headed for the ballot based on the number of signatures they turned in by Friday’s deadline, even though the state’s top elections officer says one that would toughen gun laws has raised legal concerns. Secretary of State Kim Wyman said elections staff will be checking the signatures submitted for Initiative 1639, which puts tougher restrictions on the sale of semi-automatic rifles; Initiative 1634, which would ban new local taxes on soda and groceries; and Initiative 1631, which would impose a fee on carbon pollution. All have tens of thousands of signatures more than the required minimum and are expected to have enough valid voters’ signatures to qualify for the ballot. Wyman said “significant concerns” have been raised about the way I-1639 was printed on petition sheets. Opponents contend the small type was difficult to read and changes were not marked with underlines and strikeouts the way proposed legislation typically shows amendments to existing law. One section of state law requires a “readable, full, true and correct” copy be printed on the petition. But another section of the law limits the reasons for Wyman to reject an initiative, and those printing requirements aren’t included. Another section of state law requires that the voters pamphlet clearly mark what is being removed from the law and what is being added, with an explanation for how it’s marked. 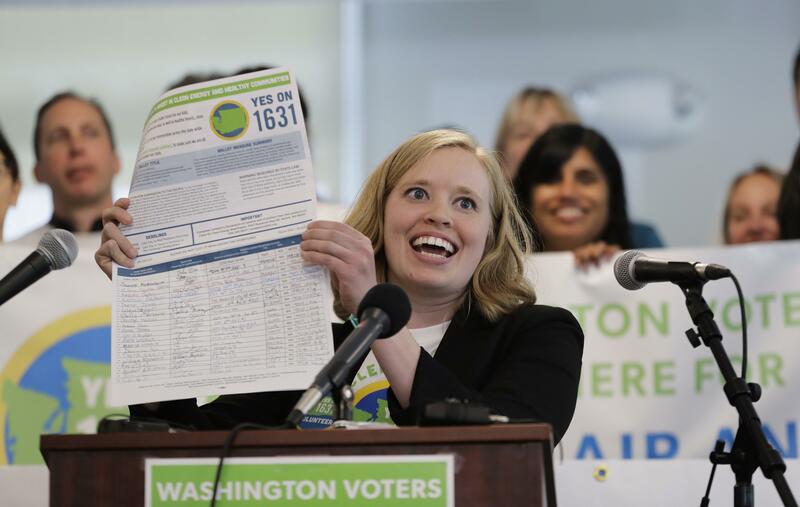 Opponents failed recently to get a Washington Supreme Court order to keep Wyman from accepting I-1639 because of the way the petitions are printed. They expect to file another lawsuit in the coming weeks seeking a court order against putting the proposal on the November ballot. Published: July 6, 2018, 6:03 p.m. Updated: July 6, 2018, 10:44 p.m.